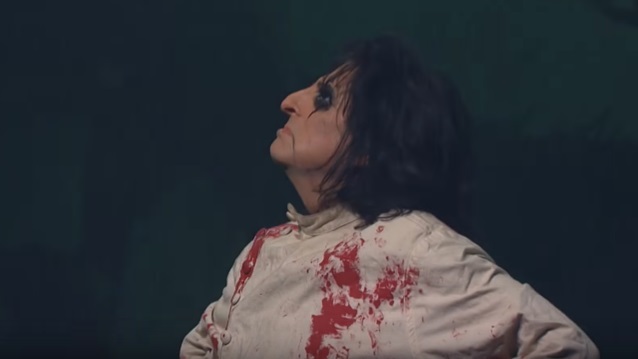 Alice Cooper, who released his 27th album, “Paranormal”, last July via earMUSIC, has extended his previously-announced North American tour, announcing additional 2018 shows throughout October. The trek picks up again this summer, starting on August 3 in Wisconsin and now running through the end of October, including a lengthy section in Canada, from Briitish Columbia across to Ontario. The Las Vegas (August 10) and Los Angeles (August 12) dates will feature a special guest as support, original KISS guitarist Ace Frehley. Produced by Bob Ezrin, “Paranormal” was immediately saluted as a classic album, strong of the collaboration with iconic guests such as ZZ TOP‘s Billy Gibbons, U2’s Larry Mullen and DEEP PURPLE‘s Roger Glover.